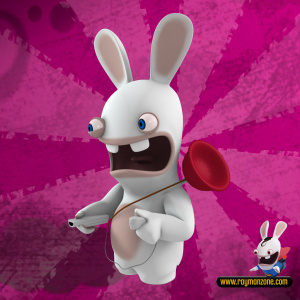 Ubisoft release some new footage of their upcoming Wii launch title, Rayman Raving Rabbits. 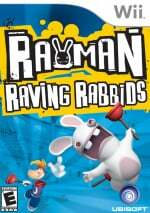 "This new Rayman game features the funniest, zaniest, wackiest antics ever when hordes of nasty bunnies invade Rayman’s world and he is enslaved and forced to participate in a series of gladiator- style trials. In order to win his freedom, Rayman must entertain and outwit these crazed, out-of-control bunnies."